"Excellent budgeting software for retail"
I like all of the reports it creates automatically. It would take me hours of my time and resources to have them created in house. Not too many things. It's slightly pricey but is worth every penny. I will continue to use regardless. Keep using it until you get the hang of it. It has worked wonders for me and my company. AWS Budgets gives you the ability to set custom budgets that alert you when your costs or usage exceed (or are forecasted to exceed) your budgeted amount. You can also use AWS Budgets to set RI utilization or coverage targets and receive alerts when your utilization drops below the threshold you define. RI alerts support Amazon EC2, Amazon RDS, Amazon Redshift, and Amazon ElastiCache reservations. I love how simple it is to create a budget for a server. It has not only saved us money monthly but it allows us to stay on top of the server costs as we grow our user base. I dislike that it took my team so long to set this up. As our application usage grew, so did our server costs and it go away from us without knowing each month. This tool has helped is forecast a lot better. I suggest making this an optional feature while setting up your server. This would have saved my team a ton of money if we found it sooner. It allows us to be on top of how much we are going to spend that month and be aware if we are exceeding that. "A tool to manage and maintain AWS computing costs"
Transparency to all computing costs of various services if they are over or below the budget. With the information we collected with this tool we managed to reduce our costs by optimizing our instances size by usage time. The tool is not fully automated, meaning in case of budget limit reached, the system can't reduce the number of running instances or to scale them down to reduce costs, this is needed to be done manually by AWS administrator. however, we had a workaround so an in house system can receive the alert and adjust the running instances to reduce costs. Would be even a greater tool if it could be linked to auto scaling group directly instead of using 3rd party. collect the information from this tool to optimize cloud costs by adjusting number / size of running instance based on hour of day and seasonality. Monitor and maintain cloud computing budget, in overall all level and on computing unit level with forecasting costs. This information is good to deduce how to optimize the usage of AWS to reduce costs. "All that has to do with budgets in one place!" I like that it is completely customizable. I can make it very complex, but the system is very easy to use. I like that you can choose the start and end dates. I like that I have the option to have an alert when I am approaching a budget. However, I actually do not like how long it takes to set up an account. There is so much info that you have to add in order for the system to accurately analyze your budget. It is also hard to re-adjust an already set budget, but sometimes this is necessary. It helps control the costs in the company. I like that it's easy to use and you can store info in S3 buckets for any further analysis. I like how it's easy to set up and integrate with AWS SNS and AWS SES which makes it very easy to send out notifications to the Accounting team. Apart from having an overhead with Cost Explorer, it is somewhat difficult to set it right the way you want it. I mean I like everything here and it is really difficult to find anything i do not like but If I have to, that is probably a lack of custom set up to budgets meaning that I would want to make an automatic stretch of budget when it is needed. However, I do understand that such function may not be available in the near future because it requires a beta testing of Machine Learning. It is very difficult to find anything bad about this system to be honest. I would definitely say that if you want to set up the specific budget and get alerts whenever needed, do use it! Control the costs and expenses of Amazon Web Services in the company. "What I think of AWS Budgets- API to generate Budget report"
Aws Budgets is the Amazon service tool that helps your business to set custom cost and budgets which triggers when exceeded. It really helps to manage and track the workflow of the Utilization. Good thing is it forecast and trigger before actual time that helps in maintaining the level. User have to fill ample amount of pricing information that may have security and confidentiality issues for some corporates. Our business group used it for tracking on quarterly basis and found it much useful tool for handling the budgets. "Great tool but not vital for every business"
I love the forecast feature - an awesome feature if you're a couple years in your business. I also love that you pay for what you use... that's a great feature that more programs should adapt. The setup process is long and could be improved! It shouldn't take long to set up. It allowed us to stay on track with business spending on behalf of a client. "Gets the job done efficiently "
I love how easy the program is to use and how efficiently it handles budgets. I dislike that some things I'd love to customize are not fully available to customize. Give this a shot. You might need to google a few things to get a full grasp of what the program has to offer, but it's worth the extra 10 minutes to just read about what the program can do for you so you use it to its fullest extent. I'm solving 90% of my budgeting problems with this program. It allows me to cohesively view my budgets and adapt them when needed. To be honest, I’m not sure I’m finding much I don’t like. Very easy to use. The thing that I like best is that is it completely user friendly. I can use it with easy and not much training involved. The thing I dislike most has to be the input data areangment. use it only when you have multiple users and as an admin you wanna handle the usage stats and keep a constant check on resource usage. "Budget for using AWS "
It can give everyone a limit based on the budget for the person who manages the organization. I think it's good enough no bad words to say. You can limit the budget of the project so that you don't exceed it and don't have money to pay. "Love all things Amazon, but not my preference for budgets"
It's a silo - few platforms really compete with the good ole spreadsheet. Maybe give it more time? If you have something you like already, probably not worth the jump, but if you're not happy, this is a great upgrade. I like that this is integrated with Amazon, which is what we use for all of our business supply ordering. I wish I would have known about it sooner. Amazon needs to advertise about this better. Sometimes our budget doesn't always match. "Best for setting up custom budget"
From the AWS Budgets Dashboard, you can create, edit, and manage your budgets, as well as view the status of each of your budgets. Configurations can be lot more simpler. Great application. Can definitely try it if budget is the issue. We use AWS Budgets, which gives the ability to set custom budgets that alert you when your costs or usage exceed (or are forecasted to exceed) your budgeted amount. "Good software, very helpful and effective.."
The interface and the features that help you plan your budget and view your spending in categories.. Bit slow sometimes and should have a better recommendation algorithm to save monthly depending on where your spending is most wasteful per month.. Please try it for it's intuitive and categorization features.. Efficient planning of budgets and spending categories viewing.. This is the most efficient way I've found to set budgets and personalize them to my businesses needs. This might seem like a non-answer, but there's not a specific part of AWS Budgets that I actively dislike. AWS Budgets helps us keep our budgeting in order and allows for customization when unforeseen business changes or happenings occur. Easy management of cost and budget and their status. Linking account numbers, tags, and others to budgets; secure access so only authorized users can make changes to the budgets. I loved the getting started tutorial. It was really well written and easy to follow. Making a business case to our executive team. It did sell them on it. "Quick and easy to manage costs!" Allows me to quickly set a budget and alerts so that I am aware of my monthly cloud spend! I wish you could be notified if you're going to exceed the free tier usage. 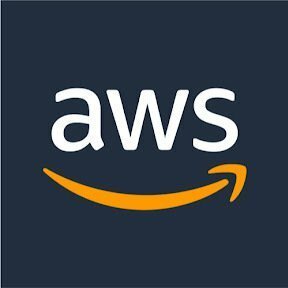 Great tool offered by AWS for cost monitoring/management! Cost management, able to control costs better. "Accurate use of budgets "
The AWS interface is not easy. I am sure it powerful if you could understand it. The benefits do not outweigh the time setting up and adjusting architecture. We are too early. Aws keeps you on track I haven’t had an issue to this date using aws and would highly recommend it to anyone looking for a solution. you can create, edit, and manage your budgets, as well as view the status of each of your budgets. "Super easy to use.. but only good for presenting and keeping a simple track"
"Works for some people "
Expensive, should be a lower fee or different plans. Everything. It’s not easy to navigate sometimes. * We monitor all AWS Budgets reviews to prevent fraudulent reviews and keep review quality high. We do not post reviews by company employees or direct competitors. Validated reviews require the user to submit a screenshot of the product containing their user ID, in order to verify a user is an actual user of the product. Hi there! Are you looking to implement a solution like AWS Budgets?